Take a look at our wide range of used motorhomes for sale right here; we’re confident that you’ll find the perfect motorhome for you, at the best price. 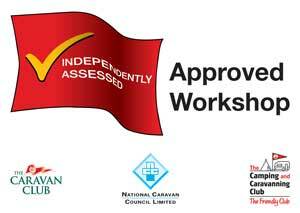 Our extensive range of used motorhomes are all in exceptional condition and have been maintained to a high standard. At Premier Motorhomes, you’ll receive the same impressive price package as you would with a new vehicle. We also offer all of our customers 12 months MOT and 12 months warranty. What’s more, you’ll receive a 6kg Calor gas cylinder to get you on the road straight away! Together with a thorough handover and demonstration of your used motorhome, you’ll be equipped with everything you need to know for your first adventure. Our used motorhomes are all nearly new, so you can enjoy comfort and quality on your travels. Whether you need something big enough to accommodate the whole family, or something a little smaller for the two of you, you’ll find the right motorhome for you here. Take the first step to owning your very own motorhome today and check out our selection of used motorhomes from some of the leading brands in the industry.